Jerusalem as the Coming Religious Capital of the World? | Have Ye Not Read? 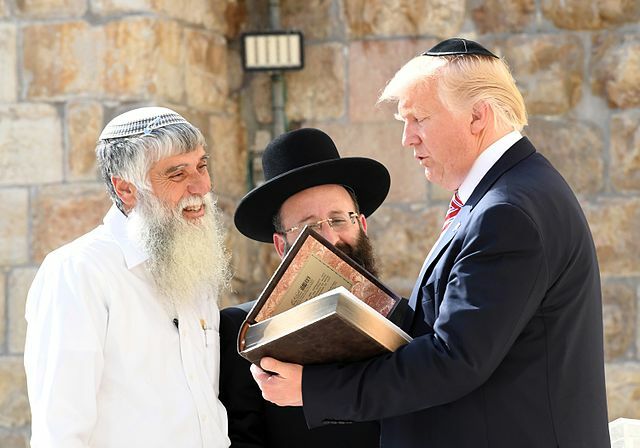 No sooner than the U.S. Embassy was officially moved from Tel Aviv to Jerusalem, political luminaries began declaring Jerusalem to be the home of all religious faiths. “…a 14-year-old was among 55 shot dead along the Gaza border on what is already the deadliest single day in the Israeli-Palestinian conflict since a 2014 war between the Jewish state and Gaza’s Islamist rulers Hamas. At least 2,400 more have been injured with hundreds of them by live bullets, according to Gaza officials as the Palestinian government accused Israel of committing a ‘terrible massacre’ and Amnesty International called the bloodshed an ‘abhorrent violation’ of human rights”. Where I come from they call that a “turkey shoot.” In the Middle East, apparently, nothing says “Welcome, friend, feel free to come here to visit and worship!” like a steel-tipped bullet. Jerusalem, which means “habitation of peace” in the Hebrew language, has become the antithesis of its own name. Instead of becoming the Great City of Peace it’s touted to be, it has instead become a city of lies and bloodshed. Yep, a center of world peace and spirituality, but without the Prince of Peace, Jesus Christ. That’s what the one-worlders ultimately have in mind for Jerusalem. Well, the Jews still won’t say of Christ, “Blessed is He that cometh in the name of the Lord.” They simply won’t acknowledge that He’s God’s chosen Messiah. So their house remains desolate. It produces no fruit for the Lord, because it rejects the Lord’s chosen Messiah and governs based on man’s empty religious traditions. At that time, the entire world, thinking Satan is “God,” will make Jerusalem the world’s spiritual and political capital, and seat him as ruler in that city. Interestingly, with the multiple nations now saying they too will now follow America’s lead and move their embassies from Tel Aviv to Jerusalem, we may well be seeing the very beginning of this process. To learn more, see Israel to Build New Embassy Living Quarters in Jerusalem for the Nations. Eze 24:13 In thy filthiness is lewdness: because I have purged thee, and thou wast not purged, thou shalt not be purged from thy filthiness any more, till I have caused my fury to rest upon thee. Eze 24:14 I the LORD have spoken it: it shall come to pass, and I will do it; I will not go back, neither will I spare, neither will I repent; according to thy ways, and according to thy doings, shall they judge thee, saith the Lord GOD. Jerusalem will ultimately be destroyed by the Lord, after having become the center of world religion and politics under Satan. Our old adversary’s stench will be cleansed by God from the city, in preparation for New Jerusalem “which cometh down out of heaven from my God” (Revelation 3:12). As it’s written, so it will come to pass. Pray for the peace of Jerusalem? Well, you’d better know which Jerusalem you’re praying for, before you do so. If that confuses you, see my previous study, Jerusalem, or New Jerusalem?